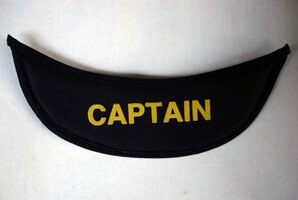 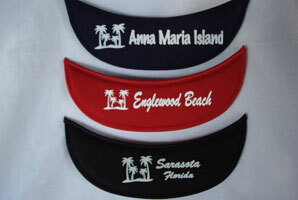 Have you ever seen a visor like this? 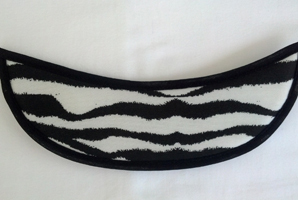 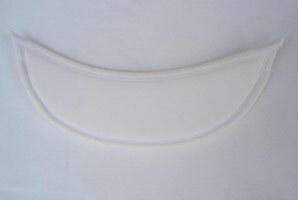 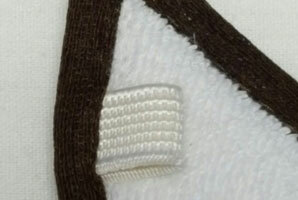 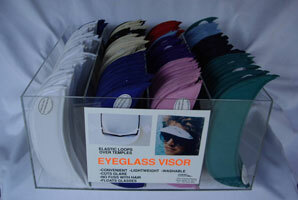 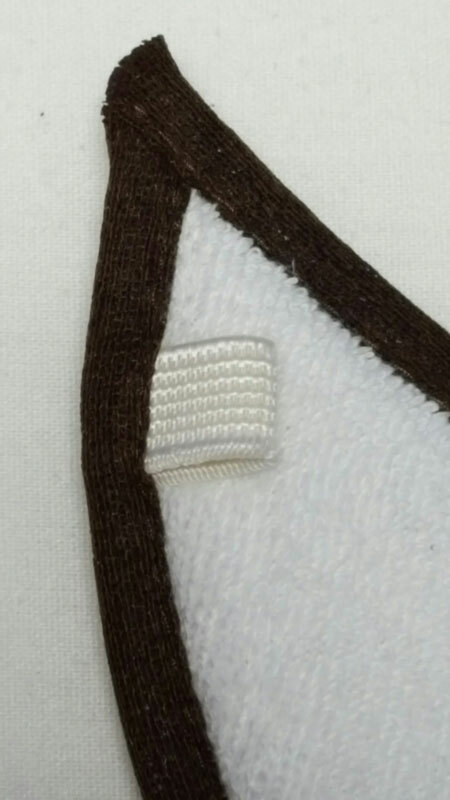 The elastic loops that are sewn into the nylon binding slide over the temples of your glasses. 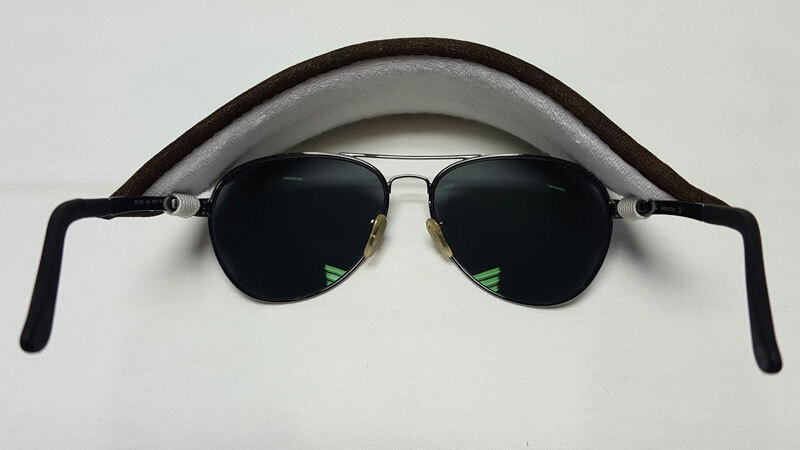 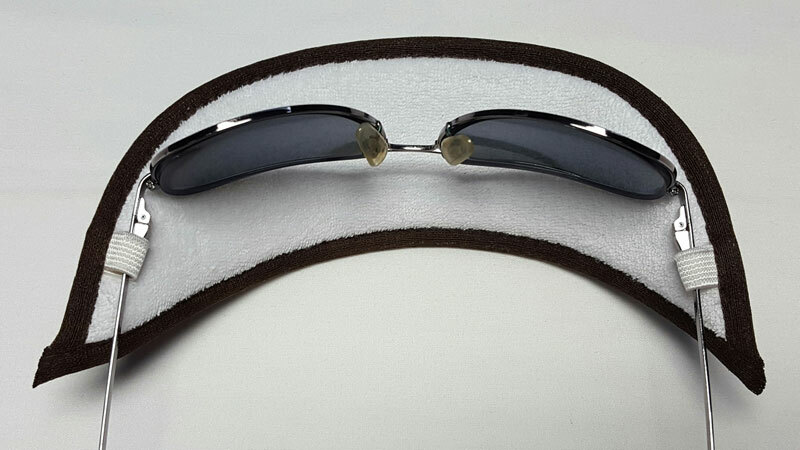 An eyeglass visor that fits against your forehead and arches over your line of sight without obstructing your peripheral vision. 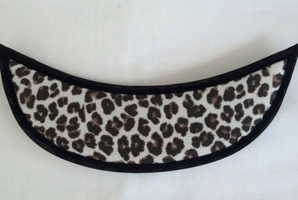 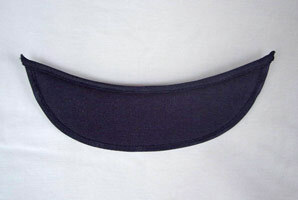 This visor will not squeeze your head or mess up your hair. 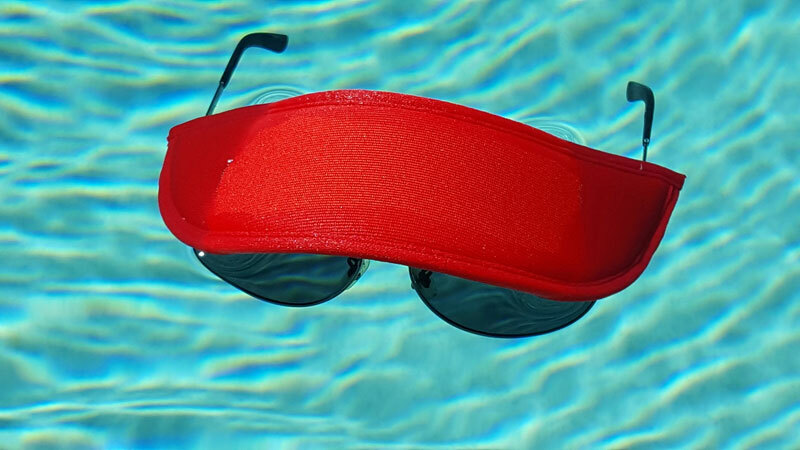 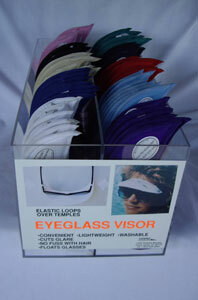 It is machine washable and will even float your glasses in the water. 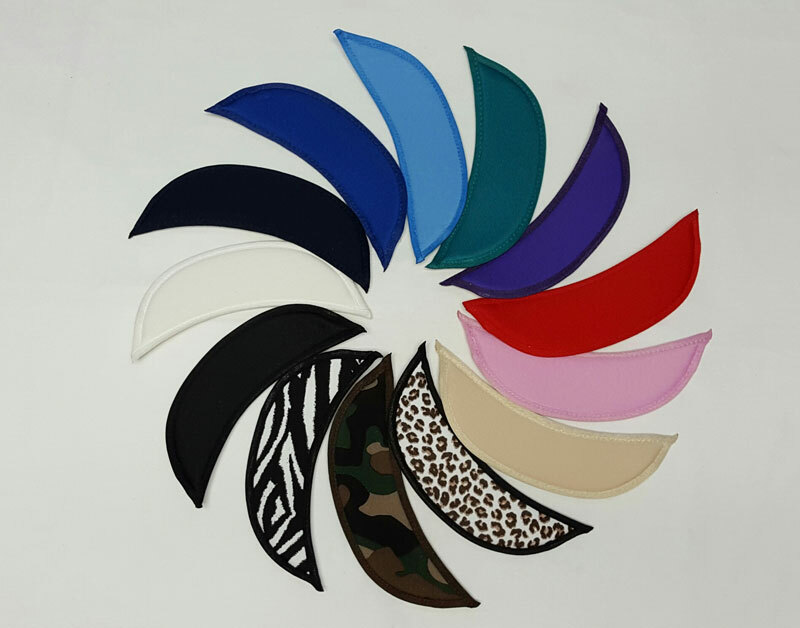 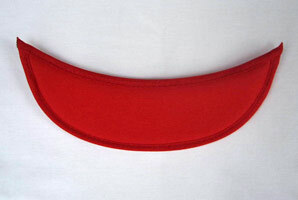 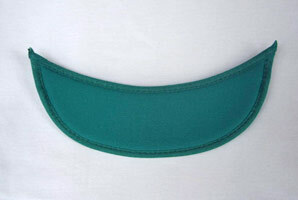 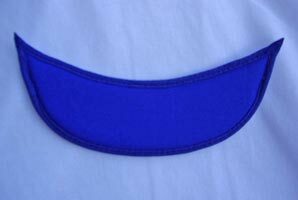 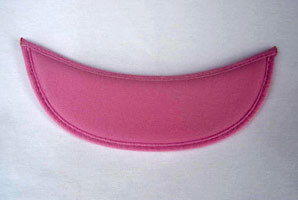 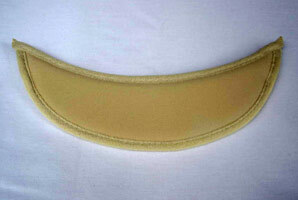 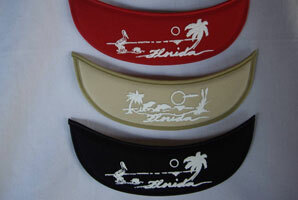 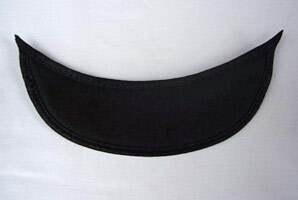 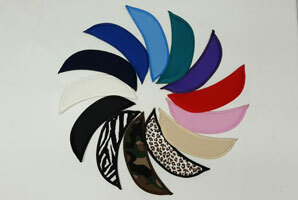 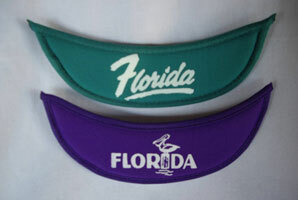 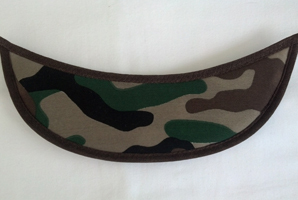 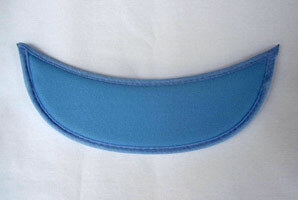 This light as a feather visor is made of laminated foam with a polyester upper and a cotton terry cloth underside. 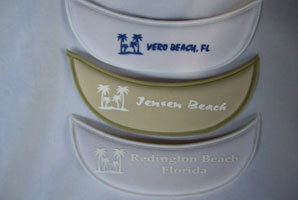 It is imprintable and is currently available in 10 colors. 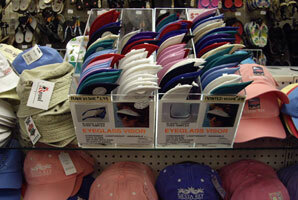 Merchandising is essential for retailing this product. 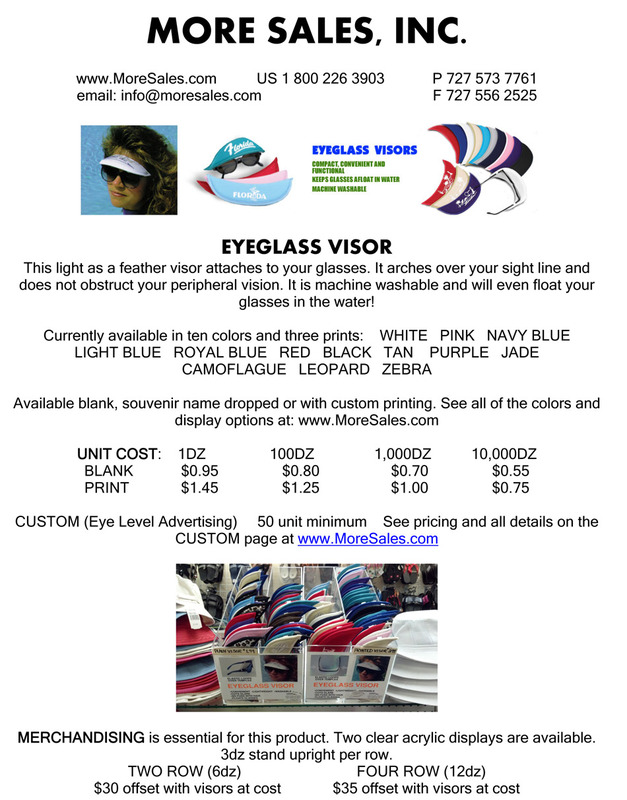 Two clear acrylic displays are available. 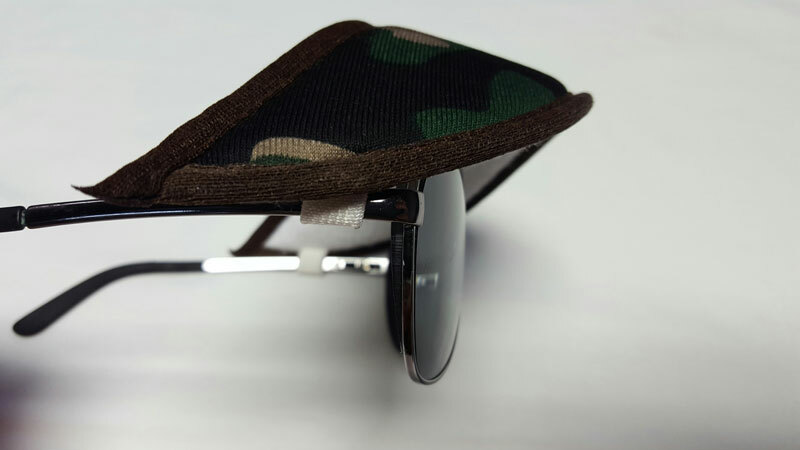 3dz stand upright per row.